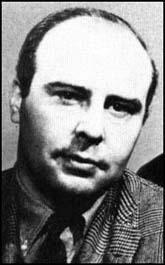 John Houseman was born in Rumania in 1902. Educated in England, Houseman moved to New York where he directed Four Saints in Three Acts (1934). In 1937 Houseman worked with Orson Welles and Marc Blitzstein on The Cradle Will Rock, a musical about the tyranny of capitalism. Developed within the Federal Theatre Project, the original production, with Howard da Silva and Will Geer, was banned for political reasons. Along with Orson Welles, Houseman was the founder of the Mercury Theatre. There most important success was a modern-dress version of Julius Caesar. Later Houseman directed The Devil and Daniel Webster (1939) and Liberty Jones(1941). He also produced the highly acclaimed Native Son(1941). During the Second World War Houseman worked for the Office of War Information (OWI) and was involved in broadcasting radio programmes for Voice of America. After the war Houseman directed Lute Song (1946), King Lear (1950), Coriolanus (1954). John Houseman, who wrote three volumes of memoirs, Run-Through (1972), Front and Center (1979) and Final Dress(1983), died in 1988. Up till that time, the United States had no machinery for propaganda. They were perfectly happy to live by advertising, by huckstering. That changed in the summer of 1941, about six months before Pearl Harbor. William Donovan and Robert Sherwood exerted pressure on the President to set up some kind of machinery for expressing the views of the United States to the rest of the world. Robert Sherwood made a speech to his fellow writers, telling them they could not live in an ivory tower, that it was important for them to participate in the affairs of the world. He had a theory that the Voice of America should be an extension of the voice of FDR. I had been with OWI about three months when a split occurred. A strong difference of opinion. Donovan was interested in the use of the Voice of America as a weapon of war: covert operations, known as black radio. He was for putting secret stations inside Germany, a spying approach. The British were very strong with black radio. They had stations all over Norway and Sweden and inside Germany. Sherwood didn't deny the usefulness of this, but he emphasized the straight news. This was important at the time because we had nothing but bad news. It was Sherwood's theory, on the assumption of our ultimate victory, that if we were honest in telling the facts, disagreeable though they might be, if we every day announced our defeats, our credibility would be much greater. We didn't fill our broadcasts entirely with bad news. The thing we plugged day after day after day was that America was strong, and it's just a matter of time. We would repeat over and over and over again: this year, 50,000 planes, 40,000 tanks; next year, 100,000 planes. This was believed to be the most eloquent thing we could possibly say to the Germans. Japanese propaganda was conducted entirely from the West Coast. By none other than Owen Lattimore. I was in charge of the broadcasts, not the news. Newsmen would prepare the newscasts, from all kinds of sources. The editorial comment was checked very carefully by the State Department so that it conformed with American policy at the time. How strongly should we support De Gaulle? The State Department was very anxious not to break our ties with Vichy at the time. This created all sorts of problems. We had a control desk that pretty much held us down: giving us complete freedom with news, but not with comment. We had to conform to what the State Department and the Chiefs of Staff told us.